Former Clifford Chance(CC) Germany private equity (PE) head, Christopher Kellett, who retired from the firm’s partnership in April, is understood to be joining Linklaters’ Frankfurt office as the firm strengthens its capabilities. Kellett joined CC in 1996. The firm appointed him head of PE in Germany in 2015. In June, following Kellett’s retirement, Dusseldorf-based Anselm Raddatz who joined CC from Freshfields Bruckhaus Deringer in 2015, was named head of PE in Germany. Germany is an increasingly key market for the Magic Circle in Europe, particularly in the context of the UK triggering exiting the European Union. Linklaters’ German practice covers four offices and a total of 254 lawyers across the country, while CC has three offices in Germany and a total of 285 lawyers in the country overall. Last month, newly-appointed Linklaters Germany senior partner Andreas Steck told Legal Business that the firm had set itself the key target of ‘being a leading adviser to DAX 30 clients in Germany and abroad’ and argued that this had been achieved. In contrast, overthe last few years, CC has been restructuring its German practice. As managing partner Matthew Layton told Legal Business earlier this month, the firm looked at whether it was positioned with the right resource to meet client demand in Germany: ‘Now we think we got it in the right shape and are looking to strengthen further laterally and organically’. ‘We acknowledged we had fallen slightly behind in that market before and we made a strategic step to make sure we’re right at the top of that market,’ he said. Along with Anselm Raddatz, CC also added high-profile King & Wood Mallesons German funds head Sonya Pauls to its German ranks in 2016. 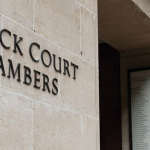 However, in 2016 Latham & Watkins hired Linklaters’ head of private equity in Germany, Rainer Traugott, and CC’s global co-head of PE Oliver Felsenstein in 2015. Earlier this year, CC re-arranged its lockstep structure, capping some European practices below London pay levels to reflect market dynamics. 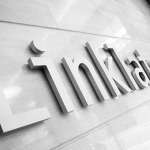 Legal Business reported that Linklaters was trialling an alternative career track in its German offices to allow its associates take a pay cut in return for a reduced working week. For more, see: The Global 100: The European question – Have years of cuts left the Magic Circle exposed as Brexit looms?